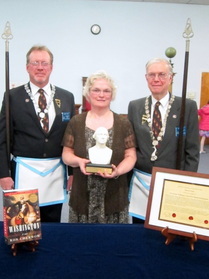 The George Washington Award for Human Development is offered yearly since 2007 by The Trenton Cyrus #5 of Free and Accepted Masons in Pennington, NJ. It recognizes individuals who have experienced tremendous personal growth and development, often despite great odds, and have significantly contributed to the betterment of our community or communities elsewhere. 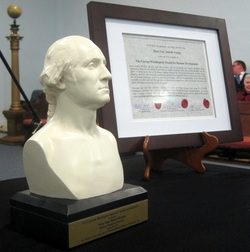 The award is named after George Washington because his life followed his life followed a process of personal growth and hardship that exemplifies what this award is all about. Washington was born into a moderately prosperous Virginia family of ‘middling’ social rank, but he aspired to become a leading example of the wealth and class he envied. In his youth, he was self-serving, land-hungry, and a social climber who craved a high British army commission. However, things didn’t turn out for George the way he planned. He was rejected by the British as a ‘colonist’ unworthy of high rank in His Majesty’s service. The local militia would have to do for him. And the death of his father prevented him from receiving an education in England like his brothers; something that left him self-conscious of being less educated than many of his peers. 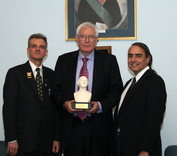 Although he most likely became a Freemason for the ‘insider’ access it afforded him in his day, it was very likely the lessons he learned in Masonry that began a process that changed Washington irrevocably; lessons that most likely began to alter his thinking about the British, their intentions for the land of his birth, and what it could mean to be an American. And somewhere along a career as a surveyor, originally chose so as to scout out land for personal gain, he wound up also falling in love with the very land he coveted. His idea of ‘country’ evolved into a potential place where freedom and opportunity could find a permanent home. Later in his life, his personal struggles throughout the revolution, and his refusal to let the nascent presidency devolve into a monarchy, helped create both the country and the democratic system of government which we enjoy today. As Marquis de Lafayette said about our country: ‘Humanity has won its battle… Liberty now has a country. Therefore, Washington did not inherit the mindset that made him the father of our country. He had to grow mentally, spiritually, and overcome many personal faults and incivilities, to eventually discover and espouse the ideals which defined him, and on which were built the nascent infrastructure of our nation. Washington, have had to overcome barriers to personal growth to improve their lives, build their character, and give something of themselves to their community and their country. The award celebrates the outstanding personal efforts of people, men and women, young and old, who have ‘grown’ despite adversity; exceptional individuals who have quietly improved their lives and, in the process, have improved the lives of their neighbors and the community at large. At the award ceremony, the lessons inherent in their lives are celebrated in a keynote address that details their struggles and accomplishments. The lecture is meant to be an educational and inspirational message for individuals and families, both young and old, through which to achieve OUR full potential as human beings. 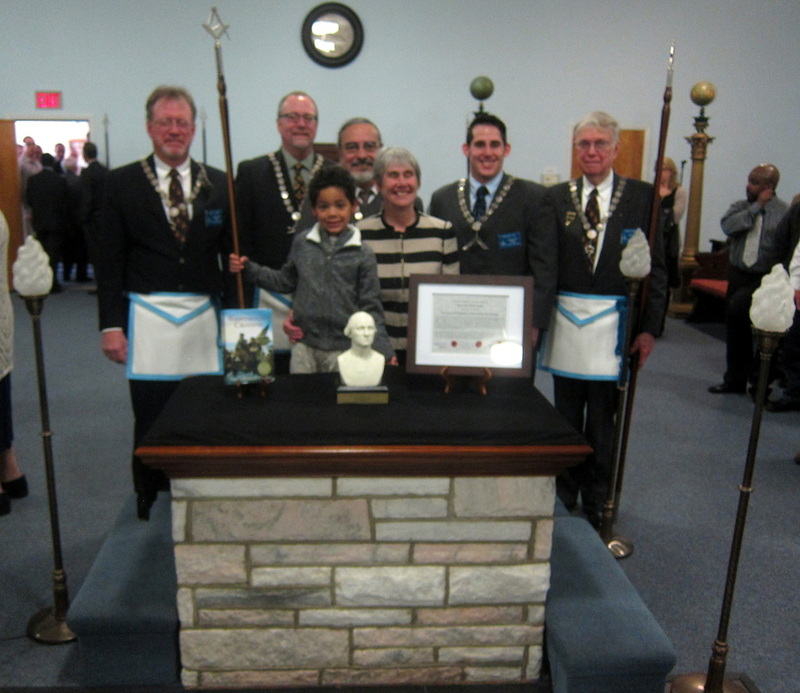 2015 George Washington Award Recipient: Ms. Mary Gay Abbott-Young, CEO of the Trenton Rescue Mission, with her grandson, WM Toth and the Geo Award Staff.